Invited as Chief Guest for the inauguration of Mysore Regional Round of the Tata Crucible Campus Quiz 2016 held on March 26, 2016. Member of Board of Studies (PG) in Business Administration of B.N. Bahadur Institute of Management Studies (BIMS), University of Mysore, Mysuru. Member of Board of Studies (Under Graduate and Integrated Programme) of University School of Business (USB), University of Mysore, Mysuru. Invited as a Chief Guest at the National Conference on ‘A Great Place to Work’, organized by Shri Dharmasthala Manjunatheshwara Post Graduate Centre for Management Studies & Research (MBA Programme), held on February 19 February 2016. Invited & delivered the Chief Guest address at the International conference on Crowdfunding, organized by Sri Krishna Arts & Science College, held on January 7 & 8, 2016. SDMIMD the resource partner in the One-day CEOs Meet organized by Central Food Technological Research Institute (CFTRI), organized as part of the ‘Make in India’ movement on January 3, 2016. 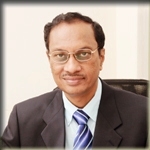 In his address on “Venture capital and its role in the new eco system” Dr. N.R. 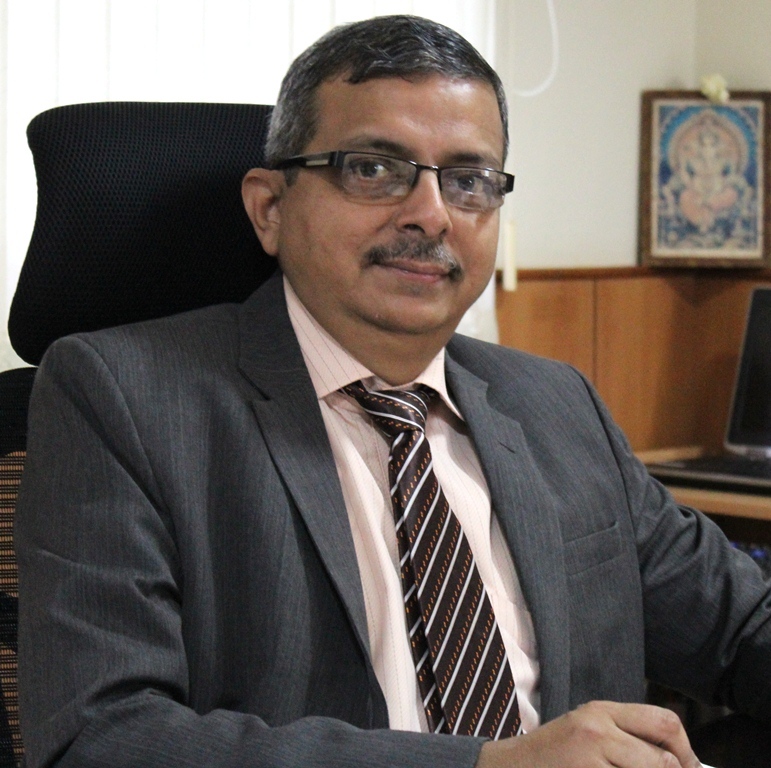 Parasuraman, Director & Professor – Finance, SDMIMD, Mysuru, emphasised the need to be conscious of basis valuation parameters as well as the possible over-exuberance of start-ups. He has been Invited & awarded at Tedium Troopers authored by Sunny Francis, held on November 27, 2015 at De Paul College Auditorium, Mysuru. 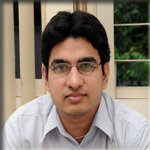 Dr. Ullas Rao presented a paper on "Do firms’ intrinsically determined Enterprise Values corroborate their corresponding Market-determined Values? Empirical evidence based on SENSEX firms in India", jointly written with Dr. N.R Parasuraman at the 4th Asia-Pacific Conference on Global Business, Economics, Finance and Social Sciences, jointly organized by SDMIMD, Mysore and J.A. 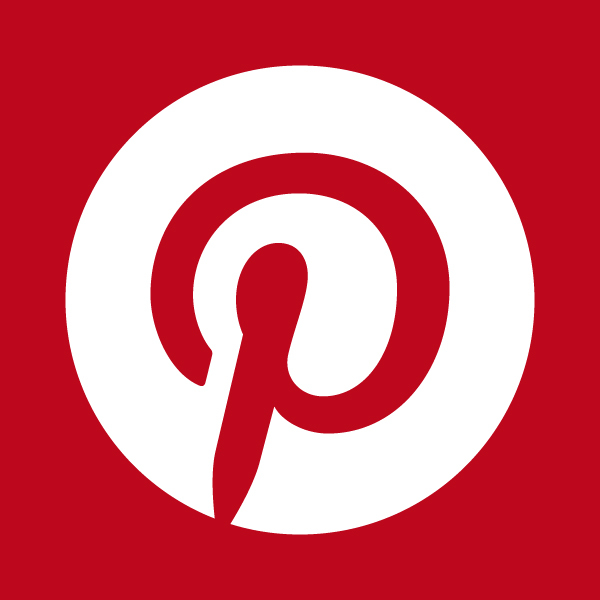 Alpha Business Research & Publishers Pvt. Ltd, held at Malaysia during August 07-09, 2015. The paper was well received. Resource person for Three day training program in Singapore, jointly organized by SDMIMD, Mysore and J.A. Alpha Business Research & Publishers Pvt. Ltd., held on July 19-21, 2015. He delivered a topic on Strategic Financial Management - A Cost-Benefit Emphasis. Delivered the invited talk on ‘Financial Analysis and Risk – Quantitative vs. Qualitative analysis’ at the Second European Academic Research Conference on Global Business, Economics, Finance and Banking. The conference with the theme “The Reshaping of the Global Economic Scenario - Financing for Development!” was organized jointly by SDMIMD, Mysore and J.A. Alpha Business Research & Publishers Pvt. Ltd., held at Zurich, Switzerland during July 3-5, 2015. Dr. N.R. Parasuraman addressed the academic gathering on ‘Real Options – A Great Financial Tool with Strategists!’ at the First European Academic Research Conference on Global Business, Economics, Finance and Social Sciences organized by SDMIMD, Mysuru and J.A. Alpa Business Research & Publishers., during June 30 & July 1-2, 2015 at Milan. Delivered the Invited Talk during the inaugural session of the International Symposium on “Emerging Trends in Social Science Research”, jointly organized by SDMIMD, Mysore and J.A. Alpha Business Research & Publishers Pvt. 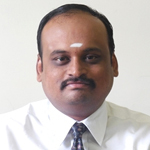 Ltd., at Chennai during April 3 to 5, 2015. Designed and conducted a training program focused on Marketing Strategies, Managing Competition, Sales Management and Profitability, Interpersonal Skill and Marketing Skills, for the sales team of SDM Ayurveda Pharmacy College, Kuthpady, Udupi, during May 13 to 15, 2016 at SDMIMD campus. The training was conducted jointly by Dr. H. Gayathri and Dr. M. R. Suresh. Conducted ‘3-Day Management Development Program’ for the Inspectors of ‘Department of Posts’ at the Postal Training Centre, Mysore (PTC). The participants were drawn from different states across the country. 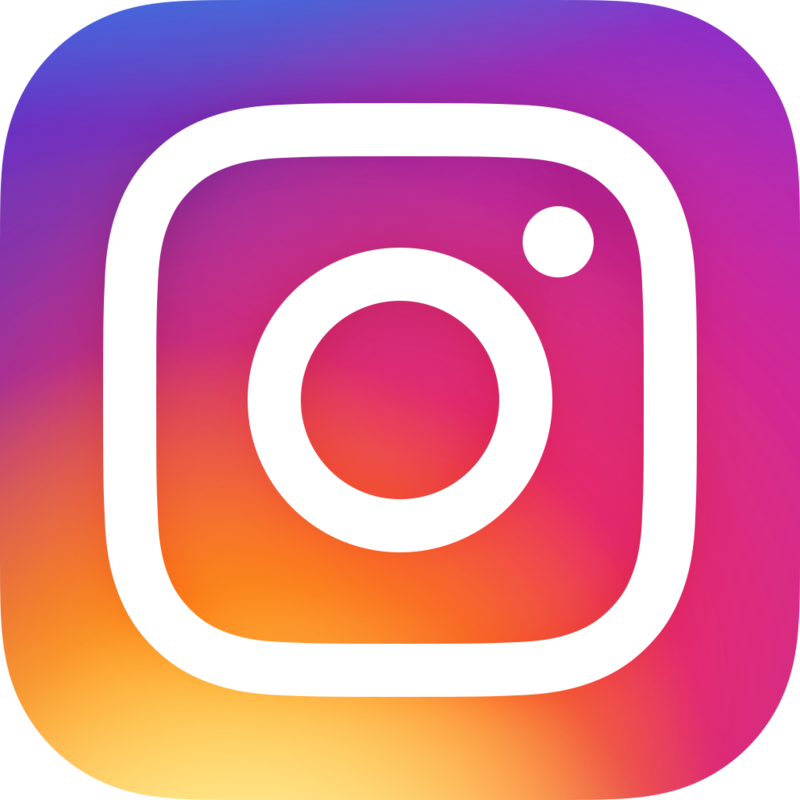 The sessions were spread across April and May 2015 and covered Making Business Plans, SWOT Analysis, Marketing Strategies, Customer Relationship Management, Market Segmentation and Marketing Research. The program was conducted jointly by Dr. H. Gayathri and Dr. M. R. Suresh. Invited to participate in the Editorial Roundtable organized by Taylor and Francis, on 8th Mach 2016. Resource person on "Literature Review" for the program on Research Methodology, organized by JSS CMS Mysore on 26th February 2016. Participated in the Faculty Development Programme on “Using Blended MOOCS in Management Education” conducted by Indian Institute of Management, Bangalore on 13 February 2016. SDMIMD the resource partner in the One-day CEOs Meet organized by Central Food Technological Research Institute (CFTRI), organized as part of the ‘Make in India’ movement on January 3, 2016. 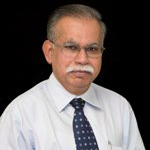 In the invited talk delivered by Dr. R. Jagadeesh, Dean Academics & Professor – Operations Management, SDMIMD, Mysuru, said that “constraints like, lack of suitable infrastructure, preference to fresh food, high taxation and packaging cost, wastage and damage, inefficient supply chain, and inadequate quality testing facilities can hamper the food industry. Hence it is better to go for international standards, compliance with food safety and hygiene standards, benchmarking with global players, and improving all the peripheral services like transportation, preservation, packaging, and above all minimizing the overall cost of operations”. Participated the ‘Manufacturing Conclave’ – Excellence through people, growth and innovation, organized by Confederation of Indian Industry (CII) on December 17, 2015. On the eve of Dr. S. Radhakrishnan’s birthday being celebrated as Teachers Day on 5th September every year, Rotary Mysore has been honoring eminent teachers with ‘Rotary Datta Award’ from the past 16 years. For the year 2015, Rotary Mysore has presented ‘Rotary Datta Award’ to Dr. R. Jagadeesh, Dean (Academics) & Professor-Operations Management, SDMIMD, on Saturday, September 5, 2015 in a function held at Rotary Center, Mysuru. 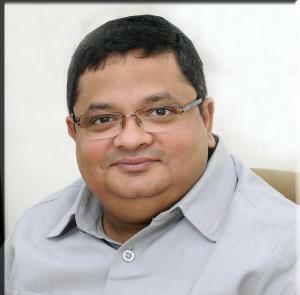 The Chief Guest, Dr. R. Balasubramaniam, Founder & President, Swamy Vivekananda Youth Movement (SVYM) & Rtn. H.S. Venkatesh, President, Rotary Mysore, along with the donors Rotarian Mr. Dinesh Babu and his family, presented the award, in the presence of office bearers, members of the center, and invitees. Delivered the Guest lecture in the FDP organized by the PES College of Engineering. Resource person for "How to publish papers?" as part of research methodology program organized by VTU Regional Center, Mysore, on July 2015. Participated in the Indian Management Conclave 2015 organized by MBA Universe which was held at Indian School of Business, Hyderabad during July 29-30, 2015. Conducted Pre-Ph.D. viva for the aspiring candidates of Vishweshwaraiah Technological University (VTU), Belgaum. Acted as examiner for Ph.D. comprehensive viva voce examination at NIE, Mysore, on 7th April 2015. Invited to be the Honorary Member for the Advisory Board of Arcus Academy Private Limited., Mysore. 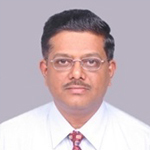 Dr. Nilanjan will be guiding Arcus Academy in their academic collaborations, at national and internaitonal level. 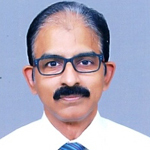 ​Is the External Expert Member in the Doctoral Committee to guide a Ph.D. Scholar in the area of Cross Culture Management at SASTRA University, Thanjavur. 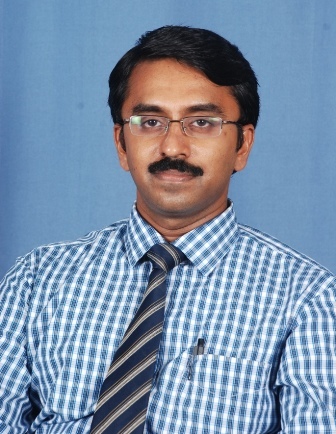 Selected as an External Examiner for adjudicating a Ph D thesis, from Christ University. The thesis is in the area of Management and Governance. Presented a paper titled “Green HRM”, at the 4th International Conference on Global Business, Economics, Finance and Social Sciences. The conference with the theme ‘Green Economy! For Sustainable Development!’ was organized jointly by SDMIMD, Mysore and J.A. 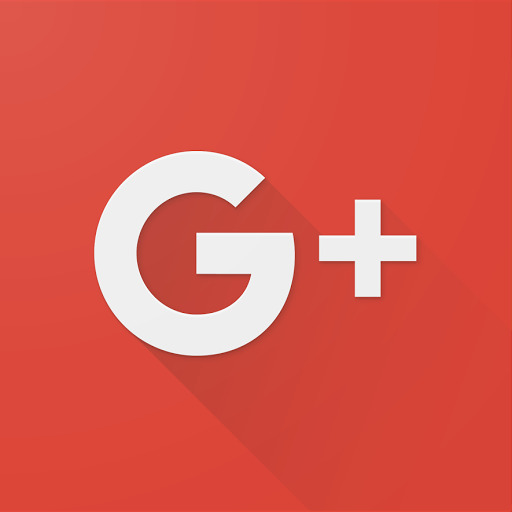 Alpha Business Research & Publishers Pvt. Ltd., held at Kolkata, during December 18-20, 2015. Delivered the invited talk on "HRM & Organizational Sustainability" at the 4th International Conference on Global Business, Economics, Finance and Social Sciences. The conference with the theme ‘Green Economy! For Sustainable Development!’ was organized jointly by SDMIMD, Mysore and J.A. Alpha Business Research & Publishers Pvt. Ltd., held at Kolkata, during December 18-20, 2015. Delivered the guest lecture at “117 Induction Training Program for State Civil Service Offers” Inducted to IAS, conducted by Administrative Training Institute (ATI), Mysuru in association with Lal Bahadur Shastri National Academy of Administration (LBSNAA), Myssoorie and Department of Personal Training (DoPT), New Delhi, from 17 August to 25 September 2015. Invited to be a Mentor for the Centre for Human Resource, Kumaraguru College of Technology (KCT) Business School, Coimbatore, to advise the Center on strategic initiatives to enhance academic research and achievements. Invited to be the Honorary Member for the Advisory Board of Arcus Academy Private Limited., Mysore. 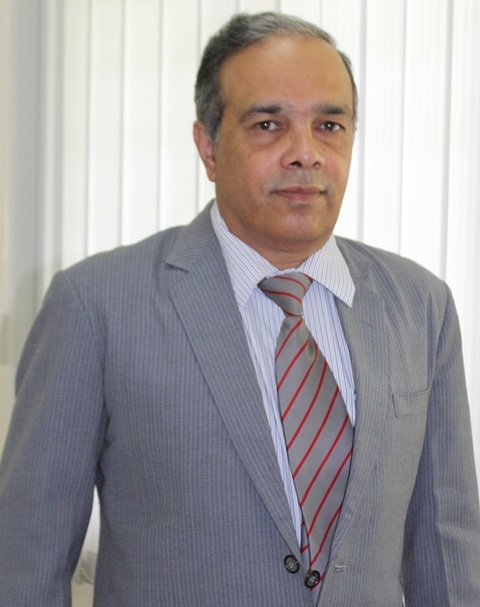 Dr. Mousumi will be guiding Arcus Academy in their academic collaborations, at national and internaitonal level. Identified as an External Examiner for Banasthali Vidyapith ( university) in Rajasthan for a Ph.D. thesis on Strategy and IT. Invited by British University in Dubai (BUiD) for a teaching assignment covering Business and Social Responsibility, Market and non-market factors in Strategy, and Sovereignty and Globalisation, as a part of Faculty Exchange Program. The teaching assignment covered relevance of non-market factors such as leadership, ownership, role of product-market in strategy giving international examples and Indian examples as relevant in a global context. Presented a paper on "Strategic Responses of Successful Enterprises - an Analysis across Ownership Forms", at the Third Middle East Conference on Global Business, Economics, Finance and Banking, jointly organized by SDMIMD, Mysore and J.A. Alpha Business Research & Publishers Pvt. Ltd, held at Dubai during October 16-18, 2015. This paper was received well and appreciated by participants. In addition to the above, also chaired a Track of paper presentations as part of the Conference. Invited as External Examiner for Christ University Bangalore for a Ph D thesis on Strategy and Corporate Governance. Delivered a talk on 26 February 2016 on "Ethics in Administration" during the DOPT sponsored training programme, at the Administrative Training Institute, Mysuru. Invited as a Resource person for Training in “Ethics in Administration” organized by Administrative Training Institute (ATI), Mysuru on August 4, 2015. Delivered the key note lecture in National Conference on Managerial Perspective in Sanskrit Literature, organized on August 23, 2015, by Maharani’s Science College for Women in association with Amrutabharati. Invited to speak on “Budget 2015” at “Genius Friends Association”, Mysore, on 28 March 2015. He spoke on “Deliverables and Executing the Promise”. The talk was well received and was followed by a lively discussion. SDMIMD the resource partner in the One-day CEOs Meet organized by Central Food Technological Research Institute (CFTRI), organized as part of the ‘Make in India’ movement on January 3, 2016. 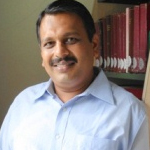 Prof. S. N. Prasad, Associate Professor, moderated the deliberations of the meet. Invited as a ‘Resource Person’ at Administrative Training Institute (ATI), Mysore to engage two sessions for a group of Principals and Vice-Principals of Govt. Veterinary Colleges of Hassan and Shimoga. 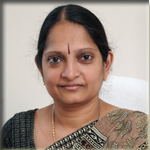 The article on ‘Medical Libraries & Massive Open Online Course (MOOC) Synergy: a new Teaching-Learning Model’ by Prof. Malathi Sriram, Faculty-Systems & Dr. Sunil M.V., Librarian, SDMIMD, Mysuru, with Dr. N.S. 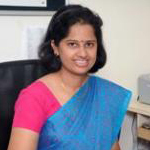 Harinarayana, Associate Professor, MyDLIS, University of Mysore, Mysuru, has won the “Best Paper Award” at the National Conference on Management of Modern Libraries (NACML) – 2016 on the theme ‘Role of Information Professional in Digital Age’ organized by SEARCH – the Health Sciences Library & Department of Library and Information Science, Kasturba Medical College (KMC), Manipal University, Manipal, during February 19 & 20, 2016 at Manipal. Presented a paper titled “Comparative Analysis of MOOC platforms”, at the 4th International Conference on Global Business, Economics, Finance and Social Sciences. The conference with the theme ‘Green Economy! For Sustainable Development!’ was organized jointly by SDMIMD, Mysore and J.A. Alpha Business Research & Publishers Pvt. Ltd., held at Kolkata, during December 18-20, 2015. Panel member for the discussion on “Ensuring Academic Integrity and Honesty - The Role of an Academician” at the 4th International Conference on Global Business, Economics, Finance and Social Sciences. The conference with the theme ‘Green Economy! For Sustainable Development!’ was organized jointly by SDMIMD, Mysore and J.A. Alpha Business Research & Publishers Pvt. Ltd., held at Kolkata, during December 18-20, 2015. Attended a Workshop on Gender Equality and Work Life Balance organized by Quality Circle Forum of India, Mysore chapter on March 8, 2016. Presented a paper at the International Conference on Business Management and Information Systems held from November 17-20 at the National University of Singapore (NUS), Singapore. The paper was titled "Factors that deter SMEs from adopting ERP: an empirical study". Appointed as a Member of the Board of Studies at the Pooja Bhagvat Memorial Mahajana Post-Graduate Center, Metagalli, Mysore. The Post-Graduate programs are affiliated with the University of Mysore. Invited as a Key Resource Person to deliver a half-day Special Lecture on "Futures and Options: A Managerial Perspective" on March 12 (Saturday), 2016 at the Maharanis Post-Graduate Center, University of Mysore. Students of MBA IV Semester and M.Com II Semester participate in the program. Presented a paper on "Do firms’ intrinsically determined Enterprise Values corroborate their corresponding Market-determined Values? Empirical evidence based on SENSEX firms in India", at the 4th Asia-Pacific Conference on Global Business, Economics, Finance and Social Sciences, jointly organized by SDMIMD, Mysore and J.A. Alpha Business Research & Publishers Pvt. Ltd, held at Malaysia during August 07-09, 2015. Invited to speak on “Budget 2015” at “Genius Friends Association”, Mysore on 28 March 2015. He spoke on “Taxation Issues”. The talk was well received and was followed by a lively discussion. Invited to be a Member, Academic Advisory Council at Dr. C V Raman College of Administration & Network Sciences, Davangere. Participated in a Panel Discussion on ‘Job Creation for Graduates in India – The Challenge’, as part of Convergence – 3i, an Industry-Institute interface activity organised by CII and SDMIMD at Mysore on Feb 23, 2016. Attended and presented a paper on “Impact of Information Dimension on Service Quality Assessment of Digital Learning Solutions” at SIBR 2015 Conference on Interdisciplinary Business and Economics Research, Hong Kong organised by Society of Interdisciplinary Business Research, Hong Kong on October 3-4, 2015. Attended a Conference on “Industry – Academia Partnership: Challenges & Opportunities”, Organized by Bangalore Chamber Industry and Commerce on November 6, 2015. Participated as the Key Session Chair at “One day workshop - Healthylicious Techniques of Global Ads” conducted by Amrita University, Mysore and delivered a session on “Changing Facets of 21st Century Advertising” on March 31, 2015. Attended " # SMAC Day-All about startups in Social, Mobile, Analytics and Cloud " organized by TiE Bangalore on 5 March 2016. Participated in an "Awareness program on Green Companies” organized by CII, Mysore on 17 February 2016. Attended DEFTRONICS 2015 conference on Global Partnership for Make In India at New Delhi on 9 and 10 September 2015. Attended SCALE 2015 themed on E-commerce as a driver for Innovation in SCM (Supply Chain and Logistics Conference) conducted by Indian Institute of Materials Management, Bangalore on 24 July 2015. Attended the ‘Workshop on Case Method Teaching’, offered by HBP and the IIMA Case Centre and hosted by Dr. Reddy’s Leadership Academy, Hyderabad on May 29 & 30, 2015. Elected as Member, Management Committee, Computer Society of India, Mysore Chapter for 2016-17. Invited by the ISC Council, New Delhi to be an external observer for the Computer Science Practical Examination conducted at the Jnanasarovara International Residential School, Mysuru on 17 February, 2016. Resource Person for the “Training Programme on E-Learning and E-Content Development for Master Trainers of Southern States through Blended Approach” organised by Regional Institute of Education (National Council of Educational Research and Training), Mysore on 20 January, 2016. Delivered a talk on “Online searching techniques and strategies (through Google)” at the Workshop on Search and Review of Medical Literature: Issues and Trends for Medical practitioners and students, organized by JSSUniversity, Mysuru, held on 30 September, 2015. Participated in Golden Jubilee Summit and International Conference on “Information Unbounded-The Past, the present and the future of Information Science” organized by the Department of Studies in Library & Information Science university of Mysore, Mysuru and Mysore Information and Library Science Alumni Network (MILAN), during June 18-20, 2015. Appointed as an Examiner to adjudicate Ph.D thesis in Management by Christ University, Bengaluru. Attended a one day Faculty Development Programme on 'Teaching Approaches as part of Assurance of Learning at Management Institutions in India' on 21st December,2015 at Bhavan's Priyamvada Birla Institute of Management,Mysuru. Received an invitation as a reviewer from International Journal of Modern Mathematical Sciences on January 1, 2016. The paper sent by the journal will be reviewed as per the understanding. Attended a Faculty Development program at Bhavan’s Priyamvada Birla Institute of Management, Mysore on December 21, 2015. The title of the FDP was Teaching Approaches as part of Assuracne of Learning at Management Institutions in India. Under this the faculty learned the fundamentals of constructing rubrics and few aspects related to assurance of learning and pedagogy. Received an invitation to be as a reviewer from American Journal of Theoretical and Applied Statistics, SciencePG on October, 30, 2015. As part of this, paper sent by the journal have to be reviewed. Attended a Faculty development program at Indian Institute of Management, Kozhikode from August 3, 2015 to August 8, 2015. The tile of the FDP was Research Design and Data Analysis for social Sciences. As a part of this development program, various modules on data analysis and social science research have been learnt. Attended the Workshop at Indian Institute of Science, organized by Indian institute of science and Indian Statistical Institute. This is tenth in the series. The major objective of the workshop is to bring scholars in the area of probability together and lay a platform for exchange of ideas and thoughts. In the process a scholar either from India or abroad will be called to give a course on contemporary issues related to theory of probability. Presented a paper titled "On Importance of Normality Assumption in Using a T-Test: One Sample and Two Sample Cases", at the International Symposium on Emerging Trends in Social Science Research organized jointly by SDMIMD, Mysore and J.A. Alpha Business Research & Publishers Pvt. Ltd, held at Chennai during April 3 to 5, 2015. The paper was well received. Economics Association of Dakshina Kannada District organized one day workshop on Economic Theory on 11 September 2015 at S.M.Khushe P.U.College, Mangalore. The workshop was attended by more than 140 Lecturers of Economics of Dakshina Kannada district. 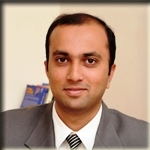 Dr.Venkatraja, Assistant Professor, SDMIMD, Mysore was the invited resource person. He oriented the participants with the teaching methodologies of Economic Theory. The workshop focused on how to teach micro and macroeconomics effectively. Dr.Venkatraja’s session emphasized on the teaching practices of cost and market structure. Presented a paper on "Does Export-led Growth Strategy Sustain? : An Aggregate Demand Dimension: China’s Experience; India’s Lessons", at the International Symposium on Emerging Trends in Social Science Research, jointly organized by SDMIMD, Mysore and J.A. Alpha Business Research & Publishers Pvt. Ltd, held at Chennai during April 3 to 5, 2015. The paper was well received. Attended an Executive Development Program (EDP) on “Mindfulness for Outstanding Performance” organisined by Justice K.S. Hegde Institute for Management, Nitte on 17. 09. 2014. Delivered an invited speech on the topic “Central Budget 2014-15” on 16.07.2014. The program was organized by the Institute of Chartered Accounts of India (ICAI), Mysore Chapter. The presentation reviewed the budget proposals of the Government and its fiscal position. The program was attended by the members of ICAI Mysore Chapter. Attended the Faculty development program at Indian Institute of Management, Kozhikode from August 3, 2015 to August 8, 2015. The FDP was on Research Design and Data Analysis for Social Sciences. 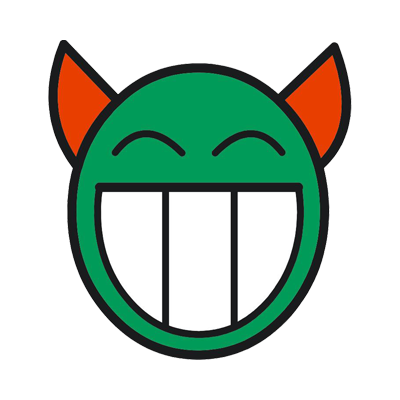 The programme primarily focused on research design and data analysis techniques in social sciences. ​The article ‘Free/Open Source Anti-Plagiarism Software(s): Features and Capabilities’ co-authored with S. Rajashekar, eLib Admin, SDMIMD was presented at National Conference on 'Bridging the Digital Divide: Open Source and Open Access Movement' organized by Department of Studies in Library and Information Science, University of Mysore, Mysuru, during March 11 & 12, 2016. Resource Person for the 3-Day State level Awareness / Training Programme on 'Digital Empowerment for Sustainable Development' organized jointly by Rajiv Gandhi National Institute of Youth Development and St. Agnes College (Autonomous) during February 11 - 13, 2016 at Mangaluru. Resource Person for the Workshop on Literature Review for the 3rd Semester MBA Students at Shri Dharmasthala Manjunatheshwara College of Engineering and Technology (SDM CET), Dharwad on October 1, 2015. Delivered session on Presentation of literature review. The hands-on session on Google Scholar, Zotero and MS Excel was the part of the workshop. The Regional Institute of Education (RIE), Mysuru invited Authors / Course Writers for the Online Certificate Course for School Librarians (CCSL) program held during September 28 to 30, 2015. 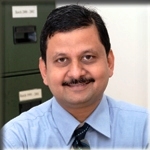 Dr. Sunil M.V. contributed the unit on ‘Automation of School Library using e-Granthalaya’. He has also contributed another unit on ‘Creating Digital Library for a School’. Participated and presented paper “Unfolding Information about e-Resource Management” at the International Conference on Information Unbounded-The Past, the present and the future of Information Science organized by the Department of Studies in Library & Information Science university of Mysore, Mysuru and Mysore Information and Library Science Alumni Network (MILAN), during June 18-20, 2015. 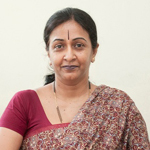 Elected as Vice President for Mysore Librarians and Information Scientists Associations (MyLISA), Mysore, for the term of 2 years (July 2015 to June 2017). 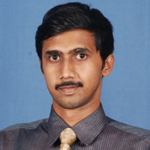 Elected as Secretary for Mysore University Information and Library Science Alumni Network (MILAN), Department of Library and Information Science, University of Mysore, Mysuru, for the term of 2 years (July 2015 to June 2017). Resource Person for the 13-Day Workshop on Research Methodology at Karnataka State Women University (KSWU), Bijapur. Delivered sessions on “Technological tools for reference management” on July 10, 2015 and “Technological tools for Questionnaire Design” on July 11, 2015. 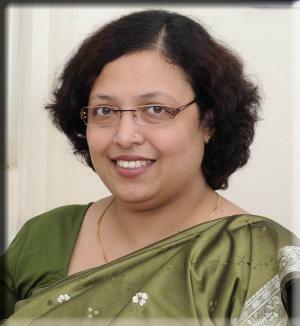 Presented paper “What is ‘Internet of Things’ for Information Services?” at 2nd International Conference on Innovation Driven Librarianship: Creating Future Landscape for New Generation Libraries and LIS Professionals (ICIDL 2015) organized by SRM University, Chennai, during June 11-13, 2015.